Down & Out Books, 9781948235785, 242pp. 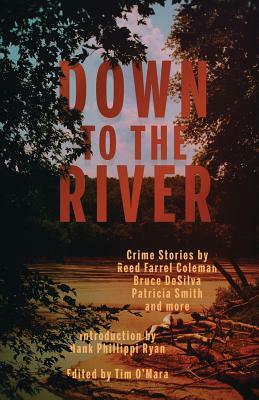 Down to the River is a collection of twenty crimes stories that take place on or near American rivers from some of the strongest voices in crime fiction writing today. As these stories show, rivers are not only sources of life; they can also be scenes of murder and revenge. All twenty stories have been generously donated by the writers to show their support for American Rivers, an organization that truly understands America would not be America were it not for our amazing rivers and waterways. The authors and American Rivers believe that rivers connect all of us as Americans and need to be protected and preserved for future generations. Edited by Tim O'Mara with an introduction by Hank Phillippi Ryan and stories by Reed Farrel Coleman, Bruce DeSilva, Patricia Smith, and more.